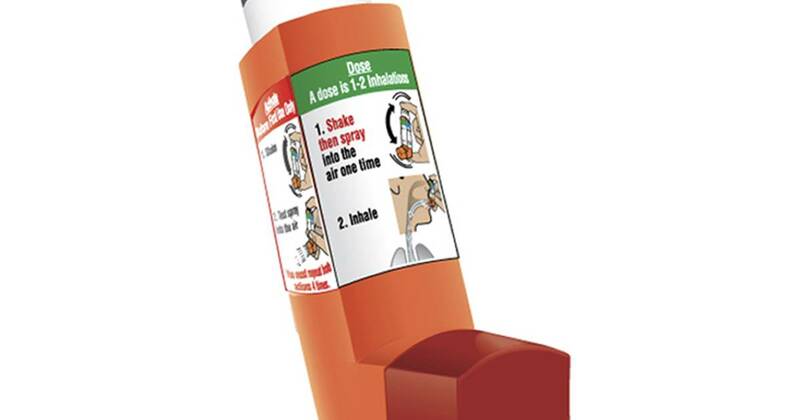 The once-popular non-prescription asthma inhaler Primatene Mist can go back on the market after having been banned for seven years, the Food and Drug Administration said Thursday. It will be the first time consumers can buy an asthma inhaler without a doctor’s prescription since the inhaler went off the market in 2011. The FDA revoked marketing permission because the inhaler was driven by ozone-destroying CFC chemicals. Now it can come back, using a less-dangerous gas to propel the medication. “Some may remember the former over-the-counter Primatene Mist that was taken off the market in 2011 because it contained chlorofluorocarbon (CFC) propellants, which are known to deplete the ozone layer,” the FDA said in a statement. Amphastar Pharmaceuticals says the inhaler will cost about $25 and should be on the shelves by the end of the year. Doctors are worried that people will stop using prescription inhalers to buy the cheaper Primatene product. Don’t be tempted to do it, the American College of Allergy, Asthma and Immunology said. “People should understand they shouldn’t go off their regular prescription medication to start taking Primatene Mist instead. That could prove very dangerous,” said ACAAI president Dr. Bradley Chipps. Primatene’s active ingredient is epinephrine, a hormone that can open airways. But it can cause sometimes dangerous side-effects, including fast heartbeat and raised blood pressure. The danger to patients with asthma is that they won’t have the right medication on hand if they have a severe attack. The FDA said the approval is only for people whose doctors have told them it’s all right to use. “The new product is only appropriate for those with a diagnosis of mild, intermittent asthma. Patients with more severe asthma should not rely on it. Instead, they should be working with their health care provider to ensure an appropriate treatment plan for their condition,” the FDA said. The ACAAI says 3,500 people die from asthma every year. The FDA notes that the decision to remove Primatene Mist from the market was controversial. Patients with mild asthma liked using it, and some people with no health insurance relied on having an over-the-counter product. “At the same time, we also heard from practitioners concerned with the product remaining on the market. They believed asthma patients could be harmed by self-medicating with an OTC product and that appropriate asthma care included regular care and supervised care by a health care provider, including the use of inhaled corticosteroids or other controller medications to reduce inflammation and the incidence of exacerbations,” the FDA said. Could the royal baby boost the economy? April 23, 2018 Comments Off on Could the royal baby boost the economy?